Many reasons lie behind the scarcity of studies about the activities of religious women’s groups by researchers, social academics, and those interested in religious movements. Some of these reasons are related to the group’s desire of working secretly, and the socio-political conditions in Syria and the Arab world. Most writings about the Al Qubaysiat organization lacked objectivity as they were written by movements ideologically and intellectually at odds with the group, and focused on the organisations drawbacks rather than its historical background. Furthermore these studies did not take into consideration the social, religious, or political situation of Syrian society nor the political context of the Al Qubaysiat organization. As a result this phenomenon was addressed as an issue separate from Syrian society and other religious groups ignoring the fact that the Al Qubaisyiat organization has been influenced by many norms and traditions enshrined in Syrian society. This has led to a general belief that the group’s practices are wrongful and contradict the essence of Islam. Most criticism towards the Al Qubaysiat was aimed at the organisation as a whole rather than individuals. Little has been written about the groups intellectual and psychological trends, it’s social and educational background, or the organization’s ideology conveyed by its religious leaders. Consequently, many accusations and controversial comments have been levelled against this organization due to inaccurate judgments. The first problem is related to the ideological orientation and ontological foundation of the group because Munira al-Qubaysi the founder was apprenticed by Sheikh Ahmad Kuftaro, a well-known figure who followed the Sufi Naqshbandi order. Many religious groups and movements such as the Salafi’s or Wahhabi(1)’s or even other Sufi schools such as the Rifai’ believe that the Sufi Naqshbandi School is known of having a lot of heresies and vagaries. The second problem is related to the fact that Al Qubaysiat organization works secretly under the umbrella of the Ba’ath Party in Syria due to the presence of mutual interests between the two sides. Dr. Tayyeb Tizini argues that the source of this phenomenon’s legitimacy is the economic and sociocultural structure of the State, as the current political and cultural regime(2) is the main pillar of such legitimacy. The third problem is related to accusations that Al Qubaysiat organization is seeking to Islamize Syrian society through controlling the thoughts of women and practicing its advocacy activities at homes (away from mosques), while secularists accuse Al Qubasyiat organization of being a terrorist and takfirist group because it relies on the positions of takfirists with regards to other sects and secularists. Highlighting the religious and advocacy practices by the Al Qubaysiat group (at homes) and the threat it ideology poses which is tolerated by the security forces is the is a façade; It is well-known that clerical teachings, forensic science, and other sciences are anchored in the Levant (for both sexes), a Syrian society hosts many advocacy and religious activities. Furthermore, the conservative Syrian family is known of conducting different religious activities such as religious lessons, religious ceremonies, and social occasions (wedding) at homes or mosques. Many critics doubt the group’s role and viability in the society because they claim that religious instruction is already studied at Syrian schools and those who want to specialize in the religious domain should register in forensic(3) schools or institutes. Inaccurately, those critics consider the information presented by the religious instruction at school as a sufficient source and avoid (intentionally) addressing the need of conservative families teaching their girls religious and spiritual values without sending them to forensic schools or institutions. The foundation of Al Qubaysiat organization dates back to 1960s, where the movement adopted the approach of religious schools in Damascus such as Hasan Habankeh Al Maydani School, Jami’ Zaid School, and Kuftaro School. The movement also adopted the approach of Sheikh Farfour group which focused on the middle and upper social classes, and those connected to the business elite as the relationship between power and influence during the Ba’th was based on mutual interest. On the other hand this relationship can also be attributed the nature of Damascene society which is built around an alliance between the Sunni bourgeoisie and moderate Islam. The Al Qubaysiat organization sought to challenge liberal feminist movements who aimed at identifying the role of Arab women in the society with communist, Ba’athist, and socialist ideologies. However, it failed become to expand it political role to challenge the latter groups and focused more cementing the thought of Muslim women. Many individuals are skeptic about the fact that Al Qubasyiat organization is considered to be an active group or an organization with a hierarchical structure. However, its founding leadership focused on making Islam its main reference for all aspects of life including values, worshiping, morals, and virtues in addition to enhancing the teaching of Islam among young girls, urging them to abide by its obligations. The above-mentioned could be deemed as an attempt (unintentional or well-planned) to derogate from the religious profiling that the Syrian regime seeks, where religious instruction is used to fulfil the minimum social and psychological needs of Syrians. Consequently due to the repressive security measures imposed by the Syrian regime on Syrian society, the activities of al Qubaysiat movement were restricted. The repression and intimidation practiced by the regime for decades in Syria has led to the emergence of an obedient generation who fears participating in any activity against the government or State. This has had implications for the scientific and methodological subjects that are taught in the educational circles of the Qubaysiat organisation; very often these topics and issues where studied from a theoretical perspective without addressing the realities and bridging the gap between theory and practice. Issues such politics justice dignity, freedom that are referred to in the bibliography of the prophet and his companions, have been confined to the theoretical realm and female students have been forbidden from discussing them. While those who dare discuss such issues or rejected the content of a certain book have been punished which has led to many girls leaving the organisation according to testimonies of previous members, interviewed by us. With the coming to power of Bashar Al Assad and what followed from limited political openness press freedom, and change in the regime’s strategy towards religious manifestations, there was a rapprochement between the regime and traditional religious figures. The latter led to the proliferation of schools for memorizing the Quran and Islamic institutes for males and females. However all religious activities have been controlled by the regime through its intelligence apparatus. As a result of good relations between the regime and religious scholars, the Al Qubuysiat organisation was able to conduct social and religious activities during the reign of Bashar Al-Assad. The time frame of this study focuses on the activities of the female religious groups in particular, Al Qubaysiat organization between 1960s and 2011. The study of this phenomenon is based on an analytical descriptive methodology rather than evaluating the ideology of this organization because this requires an extensive knowledge of the organization’s doctrine through the books it studies and the origin of the forensic studies that were instructed during the organization’s sessions. Furthermore, any scientific critique of Al Qubaysiat organization should be assessed by specialists in the forensic sciences, who have experienced such a phenomenon. We will spot the light on the Islamic mainstreams who criticized this organization without presenting inclusive details. Our study is based on some personal meetings held with some girls and women who were active in Al Qubaysiat organization and left for various reasons. Some of them have given a full testimony, specifying some positive and negative aspects(4) . While other women had an outright rejection of the organization’s policy. We did not focus on unknown girls or women who posted their testimonies on the net and have been unable to get a testimony from individuals who are still active in the organization. Our study has thus faced many difficulties and challenges. The most significant study about Al Qubaysiat organization was a book written by Dr. Usama Al who represents Sayyed entitled “An Inclusive Study about a Dangerous Women Organization” in 2003(5). This study is mostly informed by a partisan view in the context of advocacy competition between Lebanese women thus, lacking scientific and accurate details. There is another book written by Ali Bin Nayef Al Shahoud entitled “Encyclopedia of Responses to Contemporary Ideologies”, in which chapter 23 focuses on responding to Al Qubaysiat sisterhood. However this chapter lacks scientific reference or an accurate reasoning. He accuses the organization of presenting theoretical solutions only, in addition to implementing the Sufi theory “Panthesim” without relying on any proof. While he conveyed quotes(6) of those who commented on a book called “Psalms”, in which some of the ideas overlap with the ideas of “Mawlid al-Nabī and chants” by Nawal Abul Fotouh. There is also a third book called “A Report about Bayadr Al Salam Association for Women in Kuwait” prepared by a committee of researchers in addition to other writings, which are similar to press reports or articles on the website and we will quote some of them. The First research: The Nature of the Organization: Is it a women’s movement or a social and religious organization? The researcher is faced with a difficulty when it comes to describing Al Qubaysiat organization; whether if it’s a women’s religious movement, a secretive and well-structured organization, a religious and social movement, or an organized sisterhood. The researcher also questions the reasons of calling members of this organization “Al Qubaysiat” and why their advocacy is called “Al Qubaysi Call”. The origin of Al Qubaysiat sisterhood goes back to Munira Al Quabaysi, the founder, and leader of this organization. It is clear that there is ambiguity with regards to categorizing this group, whereby some consider Al Qubaysiat a secret movement that operates in the name of Islam. While others view it as a political movement that acts behind a religious cover. Furthermore, some Islamic intellectuals categorized it as a reformist, revivalist and religious group. Some individuals have gone to the extent of describing Al Qubaysiat organization as a feminist Islamic movement due to its female component(7) . While it is well-known that a movement cannot be named “feminist” based on the gender of its members. The feminist movement can be defined as a revolutionary movement anchored in an ideology that seeks to deconstruct stereotypes about woman and defends their rights and equality to men to abolish the social and intellectual dominance of men over woman. Many feminist movements stood against the male-dominated discourse and demanded a feminist interpretation of religious and classical texts. These movements have written books and articles which attempt to provide a feminist interpretation of religious texts on the basis that the clergy have had a monopoly on the interpretation of these texts which has marginalized woman in society and deprived them of their rights. Using this definition we cannot refer to Al Qubayisiat organization as feminist group or movement. Furthermore Al Qubaysiat does not diverge from the official Islamic discourse in its structure, emergence and activities. There are no feminist movements that fit the above definition in Syria. It can be argued that the Al Qubaysiat sisterhood resembles Islamic Arab society in which scholarly knowledge has been taught privately and passed over the years despite the presence of schools, institutes, and universities. Tutoring girls and boys at home by female teachers or scholars is still taking place in Syria today. The term ‘organisation’ cannot be attributed to Al Qubaysiat because of the lack of clarity with regards to its structure, the mechanism of promoting its cadres, or the management of its financial resources. In addition to this group has no political agendas like the Muslim Brotherhood (MB), Al Qaeda or any other political Islamist movement and therefore in this regards it differs from other female Islamist movements. In this respect Dr. Habash argues (in defence of Al Qubaysiat sisterhood) that the group has no connection to politics, political groups and takfiri groups. He further states that the groups is “organised but is not an organisation and even if it were an organisation, this is not wrong nor forbidden, but something which Islam encourages. Finally It is possible to argue that Al Qubaysiat organization falls under social movements; because the sisterhood defends certain spiritual, moral, and material interests or principles, and fulfilling them is a major objective of any social movement. Al Qubaysiat sisterhood can thus be deemed as a reformist social movement as well as a religious movement because it focuses on teaching religion and promoting Islamic ethics among all women in society. At the pinnacle of Qasim Amin and Rifa'a al-Tahtawi ideas on liberating Arab women and the spread of communist and liberal ideologies in Syria, Munirra Al Qubaysi emerged from a economically stable and conservative environment with a liberal outlook. She enrolled her daughter at a school during the dominance of the eastern mentality which rejected girls attending liberal schools. Munira was admired by her colleagues due to her good nature. However, they felt sorry and pity for her because she was the only girl who wore a veil at her school during that time. Munira Al Qubaysi was born in 1933 in Damascus and started her advocacy and religious activities in 1960s while teaching science at schools. She than studied Islamic studies in Damascus University in order to enrich her advocacy role, where she learned the religious sciences(8) by sheikh Ahmad Kaftaro. Munira abandoned Kaftaro’s group after pressures from other religious movements according to Dr. Habash, but she still kept in touch with Ahmad Kuftaro(9) because her father and uncle were taught by him. The main reason for Munira abandoning Kuftaro’s group was due to the emergence of Wafa, Ahmad Kuftaro’s daughter in as a Islamic preacher Abi Al Nour Mosque which caused an intensive competition between the two Islamic figures and forced Munira Al Qubaysi to establish her own approach. Sheikh Ahmad Kuftaro’s son has denied the presence of such competition and stressed the fact that Wafa was Muira’s apprentice who is twenty years younger(10). The activities of the Al Qubaysiat organization took place during a critical historic era, where communist values in addition to liberal and secular ideologies were dominating in Syria. Munira tried to alleviate the cultural impact of that era on Syrian girls in order to protect them from those ideologies. For most Syrians religiosity is innate aspect of their lives and its manifestations could be seen in some occasions because this phenomenon can consolidate the values of affiliation and self-fulfillment in a society lacks different aspects of life such as the social values alongside the spread of individualism, selfishness, openness, and cultural alienation. Many women from Damascus joined Al Qubaysiat sisterhood, as those women descended from famous families and they started to form their own religious sessions for advocacy that were sometimes moderate, and sometimes extreme. Those individuals took the responsibility for raising the religious and social awareness of women, where religion was confined within some Islamic schools and institutes that belonged to the official religious institutions such as Badr Institute (established in 1964). This institute was related to the religious Foundation of Sheikh Ahmad Kuftaro and focused on teaching females only. In 1965, Al Fateh Institute (founded by Sheikh Mohammed Saleh Al Farfour) opened a new branch for females in Damascus in order to teach them advocacy and Islamic sciences to strengthen their religious and educational backgrounds. During the 1970s, the influence of MB grew and many of its female members became influenced the the Qubaysiat sisterhood. However, the presence of Salafi and ideological background of the MB’s members in Damascus headed by Issam al-Attar prevented the full coordinating with Al Qubaysiat sisterhood and made the latter focus on advocacy alone. In the 1980s, During Hafez Al-Asad’s campaign against the MB many women women lost their husbands, brothers, and children. While Al Qubaysiat sisterhood was the only Islamic movement who succeeded in preserving the religious values of women at that time because the organization was able to retain the religious values within the Syrian society and emphasized the necessity of memorizing the holy Quran and the study of jurisprudence in addition to studying the biography of Prophet Mohammed. In tandem with the presence of Al Qubaysiat sisterhood, other female religious movements have also emerged belonging to Sheikh Ahmad Kiftaro such as Kuftaroiat headed by his daughter who was well-instructed by her father and other sheikhs. Most of the female branch is headed by Wafaa Kuftaro who was supervising many schools and universities connected to Abu Al Nour Al Islami’s religious foundation for a long period of time. Sabah Al Jabri, the second wife of Ahmad Kuftaro after the death of his first wife in 1992, had a great influence on the women’s activities. Moreover, Kuftaro’s wife and daughter were assigned as official teachers at mosques by the Islamic Endowment Ministry despite the limited number of positions for women(11) . Other enlightening and renewal movements have also emerged which included a small percentage of females compared to males such as Jawdat Said’s intellectual Movement who became well-known in the mid of 1990s in Darayya. The movement calls for gradual and peaceful changes through civil activities and non-violent means. Abd Al Akram Al Sakka, Imam of Anas Bin Malek Mosque in Darayya is the most prominent supporter of Said’s movement, whereby he presented many doctrinal writings alongside teaching the Quran in Al Assad institutes for Memorizing the Holy Quran. Furthermore, Hanan Al Lahham emerged as a religious activist who focused on spreading the non-violent ideology in addition to hosting individuals who are known as murids (a person who is committed to a murshid or spiritual guide) that have tendencies towards the peaceful change. In the end of 2000, the Ministry of Education in Syria allowed girls to wear veil’s at school. While in 1983 it was forbidden to wear it as per a decree issued at that time. On December 29, 1981, a campaign against women and girls took place in Damascus, where Rifaat Al Assad sent troops (females) from Saraya Al Difa (the Defence Brigades) that forced them to take off their hijab. Hafez Al Assad apologized to Syrians after the presence of strong opposition and said: “Those are our mothers, sisters, and daughters. We respect them…. Our enthusiastic daughters (in Defense Brigades) do not approve the situation of close-mindedness and marginalization that Syrian woman experience….. The public organizations especially, the Women’s Union must focus on the emergence of a liberated generation(12) ”. The above-mentioned situation formed a central issue for Al Qubaysiat sisterhood and other conservative Syrian women because the former Syrian regime caused a negative impact on Syrian families who refused sending their daughters to schools due to banning of hijab. Whilst other families relied on some fatwas in regards to education being a priority and sent their daughters to schools. Such situation led Al Qubaysiat organization to challenge Al Assad’s regime through instructing girls on the principles of Islam at homes, and urging them to keep wearing their veils in public places. Moreover, women (wearing hijab) were deprived of assuming any political, governmental, or media position thus, those individuals were marginalized and isolated from Syrian society.
. Damascus University has also played a vital role in the direct communication between the students of the city and students from other Syrian cities. Consequently, the advocacy by Al Qubaysiat has expanded nationwide. The college of Pharmacy is considered one of the most significant headquarters for Al Qubaysiat sisterhood, where many prominent figures were able to convey the message of Al Qubaysiat organization’s ideology and implemented this experience in other Syrian cities. Homs is considered the second city where Al Qubaysiat sisterhood has a strong presence mainly within upper class. The religiosity of female individuals in this city has emerged after the Syrian crisis of 1980s between the MB and the Syrian regime. 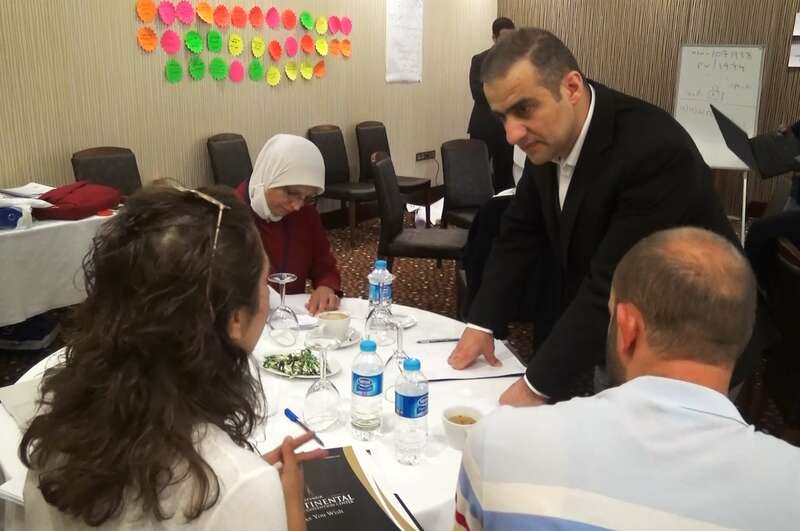 The central leadership in Homs is responsible for the receiving the instructions with regards to the curriculum and the method of teaching and development(13) , In addition to the mechanisms of societal permeating. However, Al Qubaysiat sisterhood in Homs city was able to infiltrate the societal institutions, charities, and communal organizations, in addition, to communicating with leading individuals within those institutions, which is deemed as a clever plan to evade any legal implications. Nevertheless, the division with regards to religious authority could be seen despite the secrecy of Al Qubaysiat’s activities in Homs city. Those authorities are divided into two parts(14) as follows: the first authority is headed by Wafaa Hamdon, teacher of Arabic language whose family had a connection with the MB and her brother was killed by the Syrian regime. The main components of Hamdon’s followers include young and has coordinated with Al Bir Society and Social Services Charity. It is worth mentioning that, there is a relative broad-mindedness in this group. The second authority is Umayya Abu Zaid who was able to proliferate in Homs through her unique school “Tala’i Al Nour” which was visited by Asma al-Assad herself. This school has an ideology similar to Al Qubaysiat sisterhood in regards to respecting and glorifying the teacher. Another small religious group was also founded in Homs called “Al Thana’ Kindergarten” and has an intersected ideology with Al Qubaysiat’s Sufi order. The rejection of Al Qubaysiat sisterhood and the public towards this group has led it to seek alliance with Al Abash group in Lebanon, while one of Al Thana’ Kindergarten’s members wrote a book that resembled the ideologies of Al Habashiah school. In Aleppo City, Al Qubaysiat organization has failed to infiltrate the other female religious groups due to different reasons such as the heritage of schools and the diversity of Sufi orders, as each movement has its own female wing thus, many female religious movements followed the traditional religious institution. Al Qubaysiat organization includes many significant figures as follows: Khair Jiha, Dalal Shishakli who is wanted by the Syrian security forces and escaped from Syria in 1980s, Nahidah Tarakji, and Durriya Al Aita whose book “The Jurisprudence of Cults’ Impact on the Shafi’i School” is considered as one of the most important religious references for students despite the presence of criticisms, Samira Al Zayed, who has a great background in the Biography of Prophet Mohammed, Suaad Mubir who wrote a book about the cases of beliefs, Muna Qwidar, Fayza Al Taba’, Rajaa Tasabihji, Nabila Al Kizbari, and Fatima Al Khabaz who is considered as the right hand of Munira Al Qubaysi. Amira Jibril(17) is deemed one of the most prominent and influential figures in Al Qubaysiat organization, as she is close to the leadership. She is also well-known for being apprenticed by Munira Al Qubaysi. Jibril played a vital role in the expansion of the organization in Lebanon and Kuwait. Furthermore, Amira Jibril is has been nominated more than any other figure to succeed Munira Al Qubaysi because of her great intellectual abilities(18) according to Abdul Rahman Al Haj. The marriage between members of Al Qubaysiat sisterhood and Syrian expatriates has contributed to the expansion of the organization’s activities in Europe. This kind of marriages can take place in the conservative circles and mosques, where youth with middle income seek help from the mosque’s Imam in order to arrange the marriage process including collecting money and providing all necessary needs. We have previously mentioned that, Al Qubaysiat is not a feminist movement that demands a reinterpretation of Qur’anic verses in order to serve women’s rights, and to liberate women from male’s dominance in society. Rather, it is a religious group that includes girls and women that follows the Sufi/Naqshbandi(19) order as a result of the religious environment of Syrian society. Consequently, the presence of Sufi method, supplications, religious chanting, and prayers related to Naqshbandi order is not odd, whereby it is the most proliferated order in Syria that Munira Al Quabaysi followed. However, most of the newcomers to Al Quabaysiat organization (in 1990s) distanced themselves from “Al-Darwish” nature of Sufism (propagated by Sheikh Darwish Khadir) that spread among the ordinary people who consider it as a salvation from life’s difficulties. While a renewal trend takes place in regards to the Sufi discourse that focused on the historical and religious narratives and revised many previous principles in order to present a clearer image in this regard. The first factor- moral and religious support from mainstream religious schools and traditional scholars such as Ahmad Kuftaro’s school and Mohamed Said Ramadan Al-Bouti who was considered as a religious and intellectual authority, and he defended Al Qubaysiat sisterhood by saying “this organization represents civilized national Islam that rejects hypocrisy(20)”. Furthermore, Al Qubaysiat organization followed the instruction of other prominent figures such as Abdul Fattah Al Bazam, Mufti of Damascus, Dr.Hussam Al Din Farfour, Abd Al-Kareem Al Rifa’i, and Dr. Wahbah Mustafa al-Zuhayli. The Second factor is related to their treatment by the Syrian security forces which was moderate in comparison with other religious groups. Al Qubaysiat sisterhood secret activities which began 40 years ago continue to this day. However, most of their members and educational institutions are well-known by the Syrian security forces who have allowed such activities because they do not have any political implications, contrary to the female members of MB, who suffered from imprisonment and exile. Moreover, those who have affiliation or close relations with MB were forbidden to join Al Qubaysiat organization. Also, it was forbidden to join this organization if the member had any detained relatives. At the beginning of its emergence and due to its good relations with most Islamic institutes in Syria Al Qubaysiat sisterhood was able to gain Islamic knowledge form different sources. Munira Al Qubaysi allocated a specific curriculum based on religious and scientific resources and forbade the murids (those who attended were rebuked) in the organization from attending classes or participating in any religious activities at Abu Al Nour Foundation or any other mosque that has an affiliation to the latter. This approach allowed her to control the murids within the organization and kept them away from other religious groups. Al Quabaysiat sisterhood has claimed that the only way to establish a sound relation with Allah will be through this organization as a means to keep its murids away from any distraction. Furthermore, Al Qubaysiat organization has a pejorative attitude towards Islamic education or even the dress code of the members of other(21) religious groups such as Al Kuftaroiat. Doubtfully, there is also an advocacy relation between Al Qubaysiat organization and Sheikh Badr al Deen al Hasani, who stated that there is no problem with the presence of a teachers from Al Qubaysiat organization as long as they teach the female students of Badr al Deen al Hasani Institute with professionalism and impartiality(22) . Generally, Al Qubaysiat religious classes follow the same method for males and females, which focuses more on preaching and is devoid of any Islamic and scientific references. Some teachers within the organisation have even issued fatwa’s without Islamic references. Because Al-Qubaysiat is an advocacy group it is not unusual for it to lack jurisprudence sources. Rather, some individuals described Al Qubaysiat organization as a group specialized in advocacy and spreading and Islamic virtues in the society. While the organization’s Sufi order focuses on the individual and spirituality and distances itself from the public affairs especially politics. The method of studying the Islamic sciences at universities and institutes by Al Qubaysiat differs, as there is no clear intellectual project or any innovative religious thoughts and the organization only focuses on the Islamic values that proliferate among women through teaching them the biographies of prophets and disciple-like figures. Quran memorization and recitation sessions also take place and the graduated student achieves a certificate. Many modern and technical means were followed by the Al Qubaysiat sisterhood in order to spread their advocacy and religious teachings. Furthermore, the art of acting and chanting the rhymes of modern songs after the insertion of religious words about the Islamic morals and values took place. “Mawlid al-Nabī and chants” book that includes the history of the Moulid, and a collection of anashid (chants) in Arabic. It primarily concerns the mawlid and mada'ih (poems and songs about the Prophet, may peace be upon him). It also contains the history of the mawlid. Al Qubaysiat sheikhs taught this book in private sessions or at the more advanced lessons. Moreover, a book called “Psalms” is also taught as notes made by some sheikhs in Al Qubaysiat sisterhood, whereby it contains Sufi chants that focus on the greatness of Allah and glorifying the grand sheikh(23) . Al Qubaysiat organization has sought an independent identity at both at the advocacy and scholastic levels, which can be seen its break away from mainstream religious groups that tried to control it. Some of the groups leadership have written scientific books relating to worshiping and jurisprudence, where each teacher has specialized in a certain jurisprudential doctrine(24) such as Durriya Al Aita who wrote about the Shafi’i school, Najah Al Hanafi who wrote about the Hanafi school, Suaad Zarzor who wrote about the Hanbali school, and Kawkab Obeid, who wrote about the Maliki school. Al Qubaysiat organization has made a courageous step despite the fact that some of these writings have faced scientific criticism or methodological remarks. Al Qubaysiat sisterhood has given the first priority to Islamic creed and the Sufi approach at intellectual and ideological levels, as the organization followed the traditional method in addressing the different attempts of categorization, taking into consideration the presence of scientific inclusion in the curricula. The most prominent curricula taught in Al Qubaysiat organization are as follows: “Jawharat al-Tawhid” by Ibrahim Al Bajuri, “al muqaddimah al jazariyyah”, “Ihya'e Ulum-ed'Deen” or “The Revival of the Religious Sciences” written by Abu Hamid Muhammad ibn Muhammad al-Ghazali(25) , “Manhaj Al Naqd” by Nour Al Deen Itir, “Mukhtasar Tafsir Ibn Kathir” by Muhammad Ali As-sabuni, “Fiqh Al Sira” by Muhammad Said Ramadhan Al Bouti, “Riyad Al Saliheen”, some books by sheikh Abu Al Hasan Al Nadawiy such as “Rijal Al Fikr Wa Al Da’wah Fil Islam”, the latter book has been taught secretly in the organization because it contains biographies and thoughts of banned individuals in Syria such as Ibn Taymiyyah and Hassan Al Banna, “Dala'il al-Khayrat”, “Fatḥ al-Bārī” by Ibn Hajar al-'Asqalani, the latter book was replaced by “Aqidat al-Tawhid min al-Kitab wa-al-Sunnah(26) ” by Suaad Mibar; which has been taught secretly for those who reached the highest level of learning in the organization, “Nujum fi falak an-nubuwwa” by Asma Al Tabba’, and “Al Sirah” by Ibn Hisham which was replaced by “Al-Jami'fi-al-Sirah al-Nabawiyyah” by Samira Al Zayid. It is worth mentioning that Sheikh Mohammed Said Ramadan Al Bouti praised Samira Al Zayid after summarizing her book “Al-Jami'fi-al-Sirah al-Nabawiyyah” as he said: “I want to congratulate Samira for her dedication in presenting this masterpiece that serves the biography of the Prophet Mohammed, the pure Sunnah, jurisprudence, and Islamic culture. Her effort has surpassed the men in this era(27) ”. Murid in Al Qubaysiat organization is well-known for her loyalty towards the sheikh because she thinks that it will make her closer to Allah and the Prophet, where such an act is well-known in the Sufism. The way of teaching the Islamic science in Al Qubaysiat organization is close to the Sufi order whereby the organization follows the approach of the traditional Sufi school that focuses on purifying the soul of the individual. The method of having excessive respect to the sheikh has to do with the Syrians’ tradition in regards to the affiliation to the religion and respecting the scholars. This respect is linked with the acceptance of thoughts and wisdoms of sheikhs rather than kissing their hands or feet (that some people do) or even kneeling before them(28) . Many murids in Al Qubaysiat organization seek the advice of sheikh with regards to personal issues such as studying, marriage, career, or even the books they want to read in order to show their respect to the experience of the teachers or to establish a friendly relationship with them according to Ms. Amal. However, it is forbidden to make any close relations between the student and teacher and the presence of such relation may lead to transferring the teacher to other session or even dismissing this teacher according to the extent of misbehaviour and the same situation can happen to the murids. The situations related to the excessive respect in the organization has led to the dominance of some teacher over the murids thus, they lacked the liberty to express themselves. The teacher’s dominance(29) could be related to good motives but some teachers use an approach similar to the Syrian regime through writing reports about their colleagues’ activities, thoughts, or personal matters. While the teacher uses this approach in order to impose her influence on the students as an individual who is enlightened by Allah and knows everything about the murids’ secrets. consequently, she guides them to the right path away from the temptations of the devil. Moreover, meeting with the grand sheikh or one of her close figures is considered as a privilege from Allah. The teachers have exaggerated in their dominance on the knowledge and being enlightened by Allah and they even use a certain method in wearing the veil, showing themselves as the only individuals who follow the right path. The hierarchy of Al Qubaysiat sisterhood is totally different from other groups and organizations and is characterized by its appearance and substance. As for appearance, it can be seen through the colorful veils which vary according to the level of education that the murid has acquired(30) , where the origin of wearing the veil is linked to the considerations of grand sheiks and teachers in regards to the social and security acceptance of such religious and moderate traditions that does not violate the instructions of Islam through chastity, speaking with a low tune, and avoid looking at taboos, whilst it is forbidden to put any make-up. “Al Hajjat” or “the eldest female members”: the central core and the final reference that controls the organization’s sessions in addition to arranging plans and schedules. They also receive reports and have follow-up with the teachers’ affairs. Murids cannot contact them unless they spend a long time in the organization and show commitment and an utmost loyalty towards the organization’s objectives. “Al Khalat Al Kabirat” or “teachers”: those individuals implement the plans and programs and they are responsible to reach and attract the targeted groups of girls. They are distinguished by wearing hijabs, which their colours vary between light and dark blue. “Murids” or “the Students”: the main pillar and the targeted group that the organization depends on, as the organization divides those students into groups (similar to an organizational cell) led by a teacher, where they study the curriculum of the organization and move from one teacher to another after fulfilling certain conditions and finishing their assigned curricula. There are certain conditions for the presence of any close relations between the murid and her teacher such as memorizing the Quran, quick learning of the jurisprudence, worshipping, and other Islamic sciences. Furthermore, the student’s familial status and relations are being monitored and the presence of any political figure in her family means that the student is not allowed to move freely in the organization and will be deprived of reaching an advanced forensic teachings that the highest level sheikhs and teachers give. While the type of books and materials including the forbidden ones varied as per the familial reference of the student. After passing a certain educational phase, the murid becomes a teacher of a new session that includes younger girls in order to teach them how to memorize and recite the Holy Quran. - The organization has experienced a closed environment in Damascus due to the intense security control that spread fear among all Syrians. - The organization focused on spiritual education and good conduct rather than addressing the issues related to the nation’s future except for some isolated cases. Al Qubaysiat organization’s main objectives focused on chastity and religiousness of the female student. 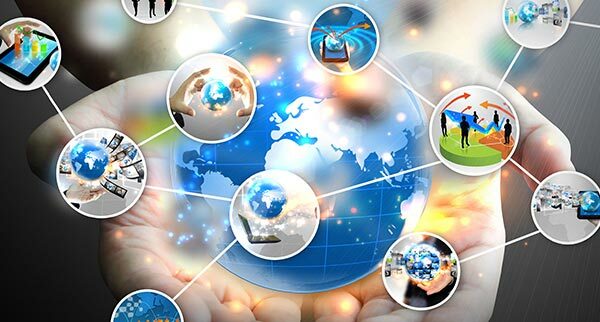 It is notable that, most of the organization’s members are graduated from scientific colleges such as Medicine, Engineering, and the Natural Sciences in addition to being employees in the public and private sectors. It is worth mentioning that the educational level of those who live outside of Damascus is lower. The social isolation of Al Quabaysiat organization can be seen through the confined religious, social, and advocacy sessions within the organization as a small community for Syrian women. As for the religious seclusion, the mechanism of selecting a place far from the family in order to do prayers and worships in addition to neglecting the familial affair (sometimes), is related to those who follow the Sufi order in the Syrian society rather than the members of Al Qubaysiat sisterhood. Despite the relative openness in Syria, the political isolation is obvious through the abstention from appearing on media or conducting any interviews with researchers or journalists due to security reasons, and Al Qubaysiat organization kept its secrecy with regards to its religious activities(33) . The marriage issue is still ambiguous for us, where many members of this religious organization refuse to get married because they deem marriage as a distraction from their major advocacy objective which is related to embracing Allah through worshipping and praying. Moreover, there are psychological and emotional barriers due to the strict religious education and the full segregation between males and females, in addition, the depiction of man as a monster who only thinks about his instincts, which explains the abandonment of the feminist aspects by the members of Al Qubaysiat sisterhood and adopting the masculine aspects. The above-mentioned justifies the presence of single sheikhs in the organization, who preferred the strict religious principles to having a social life, while their strong personality has also played a role in rejecting the idea of being dominated by the man (as husband) . Furthermore, many murids have(34) been influenced by the sheikhs’ approach in this regard and thus, remained single. As per the realities in hand, many individuals accused the members of Al Qubaysiat sisterhood of acting like a nun or suffering from physiological problems. The role of women in society is taken into consideration by Al Qubaysiat organization, as it is vital to focus on her religious role because she is a mother and a wife who is responsible for raising a well-mannered generation based on Islamic principles as a weapon for confronting the secular, atheism, and immoral behavior that spread during the Ba’ath rule. During the four past decades, Al Qubaysiat organization has been seeking the revival of Islamic morals and virtues implicitly and explicitly. While the way of wearing hijab and clothes is the major concern for this organization, as most of the Syrian society is conservative and considers decency, virtue, and chastity as the main pillars of bringing up a girl. Murids have full confidence that Al Qubaysiat sisterhood has played a vital role in preserving the Islamic morals in Syria through urging girls to wear veil, memorize the Quran, and take part in other religious activities. In fact, between 2000 and 2011, Al Qubaysiat organization has played an important role in raising the awareness of girls with regards to sensitive issues that mothers avoided to discuss. Consequently, it was able to enhance the religious and moral role of girls during the absence of any educational and religious awareness by the mother or school towards females. Furthermore, Al Qubaysiat organization created a social atmosphere among the murids and teachers during the religious sessions and tried to fulfil a relative religious obligation through the private schools. As per scholars and sheikhs, Al Qubaysiat organization’s curriculum and approach are much better than the government’s educational means despite the dominance of the cultural and educational ministries of the Syrian regime in this regard. Al Qubaysiat organization urges murids to pray during the night, do prayers, conduct daily breviary, supplicate to Allah, avoid any mingling with males, and attend periodical religious sessions at mosques or the homes of the teachers in order to avoid any religious misbehaviors. Furthermore, many religious celebrations can take place in mosques such as Lailat Al Qader, the Mid of Sha’aban, Al Mawlid Al Nabawi, and honoring the girls who memorized parts or the whole Quran. There are licensed religious seminars by the Ministry of Endowment that take place in five specific mosques, where grand advocates (close from Munira Al Qubaysi) give lectures. It is worth mentioning that, the mosques become full of attendees during these seminars(35) . The lectures focus on the development of the girl’s personality, urging her to seek more religious education in order to reach higher positions in society alongside discovering and enhancing the talents and capacities of girls for the sake of serving the advocacy activities of Al Qubaysiat sisterhood. The promotion of the organization’s activities depends on the individual advocacy and broad social network rather than the traditional ways such as distributing brochures or establishing a certain centre for advocacy. While the murid who brings new girls to the organization, attains a great appreciation from her teacher, also advocating those girls takes place through attending the social or religious celebrations such as Al Mawlid Al Nabawi, funerals, and schools through demonstrating keen interest, offering help, solving problems, visiting the girls’ homes to know their families by teachers who have strong presence and influence. Than the girl is invited to attend a religious session at the home of one of the teachers in Al Qubaysiat organization. Al Qubaysiat Organization has made a huge step through communicating with influential individuals and business men, who helped the organization to expand and become accepted among Syrian women. Such convergence between Al Qubaysiat sisterhood and people with higher social status did not convey any political objectives that other religious groups in Syria tried to achieve and considered the fulfillment of such aim as a great victory because the individuals of such high social class are normally overwhelmed with the life of leisure that makes them distanced from the Islamic religion. While Al Qubaysiat used this convergence to collect money for charity in secret thus, the organization made sure to avoid the presence of any supportive grass-roots or attracting the Syrian intelligence’s control. Munira Al Qubaysi’s organization supervises half of the schools that memorize Quran in addition to teaching more than 40 advocates and granting them licenses to work in mosques. Moreover, Al Qubaysiat organization made use of the relations between husbands of members from the organization and businessmen and was able to own private schools (about 200 during the past 30 years) that surpassed the performance of the public schools despite the constant harassment of the Syrian security(36) . There are many private primary schools owned by the organization which include: “Dar Al Farah” School under the management of Muna Quider in Al Muhajreen neighbourhood in Damascus, Dar Na’im School, Omar Bin Al Khatab School in Al Mazzeh neighbourhood, Omar Bin Abdul Aziz School in Al Hameh neighbourhood, Dawhet Al Majd School in Al Malki neighbourhood, Al Basha’r School in Al Mazzeh neighborhood, and Al Bawader School in Kafr Suseh. It is worth mentioning that Munira Al Qubaysi took advantage of the old licenses of many private schools and was able to buy or invest these licenses. As for the mosques that teach memorization and recitation of the Quran, we can mention the following: Al Wazir Mosque in Al Muhajereen neighbourhood, Al Abrar Mosque in Dummar neighborhood, Al Rahman Mosque in Western Mazzeh Villas, Badr Mosque, Al Hasan Mosque, Zaid Mosque, and Saad Mosque in Al Malki neigborhood(37) . There are other mosques in Homs which include: Omar Bin Al Khatab Mosque in Al Hamra neighborhood, Al Qasimi Mosque in a market area, Al Rawda Mosque in Al Waer. Conducting sessions at mosques is considered as a dangerous move for Al Qubaysiat sisterhood because individuals can have access to the mosques easily and the organization had concerns with the security control thus, many forbidden books such as Al Nadwi and Al Aqidah were only taught at homes with extreme cautions by Al Qubaysiat organization. The curriculum given by the organization focuses on the religion itself rather than its content and the mechanism for teaching the materials lacks any approach related to conveying the ideas to murids especially, the texts in the Holy Quran(38) , where such method of teaching can be found in other religious groups. In Homs, Al Qubaysiat sisterhood has no problem in teaching the books (again) to the students who already studied them and passed the exams. Al Qubaysiat organization encourages teaching in the public and private sectors in order to expand its influence with regards to advocacy and religious guidance. The organization was able to open private schools related to the Ministry of Education due to its relations with mediators who could reach the decision-makers and some security officials. However, each school has a limited space for conducting social and religious festivals, sessions, and activities that focus on the Islamic morals and virtues. The reasonable fees of those schools encouraged people with middle-income to send their children in order to gain religious morals. The influence of Al Qubaysiat organization has expanded to cover charity work and some medical services(39), where some teachers from the organization supervised the work of many charities such as Al Bir Society and Social Services Charity in Homs, which was founded due to donations from some traders in the city. 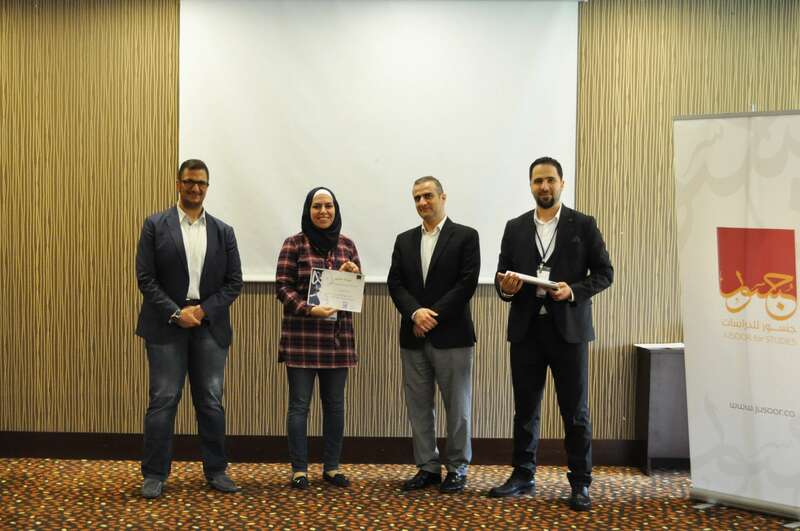 Furthermore, other projects took place in Homs such as orphanages, hospitals, libraries, workshop, kindergarten, special language centre for the charity, and campaigns to collecting used clothes and distributing them to the poor. It is not logical to talk about any movement or organization that conduct secret activities during the rule of Al Assad’s regime because all movements, parties, and groups in Syria have already been infiltrated and identified by the security forces that followed their individuals and monitored others. Therefore Al Qubaysiat organization’s activities are already identified by the Syrian intelligence since their emergence in Damascus. Al Qubaysiat sisterhood made sure to conduct its activities secretly despite the religious openness with regards to memorizing Quran at special institutes, which raises a question about the followed secret approach by the sisterhood even though there is social and security acceptance, while murids (newcomers) are bound to confidentiality even among each other as though such secrecy is one of the terms of affiliation to Al Qubaysiat organization. On the other hand, the unified clothing among the members of this organization totally denies the secretive approach of the sisterhood because it is very easy to identify its members and murids at streets, mosques, universities, and public places. Murids and other members of Al Qubaysiat organization are always cautious in regards to their movements, where they leave the religious session individually or within small groups (four individuals at most). Whilst, most of the religious sessions and activities, that take place in one of the teachers or murids homes, are covered by social celebrations. In fact, Al Qubaysiat sisterhood implements this secretive approach before the public rather than the security forces themselves due to the societal fear in Syria with regards to detention, tortures, disappearance, and imprisonment especially, after 1980s, which is why the sisterhood has no connections with political groups or parties and never considered the establishment of any reforming social or religious movement. Al Qubaysiat organization kept working in the private sector until the start of Bashar Al Assad’s presidency in 2000, as some elders have mediated on the behalf of the organization in order to work in public and conduct activities at schools and mosques such as Dr. Mohammed Habash who stated that: “During work in the Assembly Council, I adopted the decree of announcing the activities of Al Qubaysiat organization, whereby I think that it is a successful educational organization with no political program, and any attempt to confine the organization’s activities may lead to extremism. While some sheikhs in the organization were able to attain licenses for teaching at mosques after 2005(40) ”. Dr. Said Al Bouti also declared that: “It is vital to encourage Al Qubaysiat organization as a national group for working in public because it has no connections with the political activities”; moreover, the sons of Ahmad Kuftaro and Dr. Said Al Bouti agreed on the fact that members of this organization always pray for Bashar Al Assad and they have a great loyalty to their nation(41) . After the declaration of the organization’s activities, its members were able to teach in the public schools and reach sensitive and governmental positions in the Ministry of Endowment, who allowed the organization to formulate the religious curricula. It is notable to mention that, one of the organization’s teachers was able to reach the position of “Deputy of the Endowment Minister”. Generally, men who have an affiliation or connection to Islamic activities are detained and interrogated by the security forces. However, the situation is different with women because the security apparatus used to treat them carefully due to social reasons such as objections from the families, religious figures, and some high-level officials in the State. Consequently, females who are interrogated are treated with respect from the security forces. The main question that a researcher may ask is the reason behind forbidding many female institutions or preventing other women organizations from practising any activities despite the security openness, except for Al Qubaysiat sisterhood, and it could be attributed to the Syrian regime’s endeavors for exploiting the religious and social aspects in Syria to serve certain agendas such as showing Al Assad’s regime as the major host of moderate Islam or as the bright side of secularism in an Arab country that the West has always dreamt of. We can say that Al Qubaysiat organization’s role is similar to former religious groups and currents in Syria that were deemed as a protective shield against any social, political, or revolutionary movements in the society through the promotion of the religious thoughts that focused on the relation between Allah and the individual without taking into account the public affair. Many questions and inquires have taken place about the organization’s ideology and sheikhs despite working in secrecy and keeping away from media, which is why many journalists and TV works tried to identify the activities of Al Qubaysiat organization through TV series such as “Assiyo Dame3” that criticized the organization’s activities and ideologies, “Al Baqon” which contains three episodes named “Purgatory”; it highlights the missionary role of the organization in order to expand and enhance its role in the society(42) , “Ma Malakat Aymanukum” which insults the organization, while the Ministry of Endowment and Dr. Said Al Bouti demanded that show should be cancelled. However, Al Bouti changed his opinion about the series and said that the audience have the right to judge it(43) . 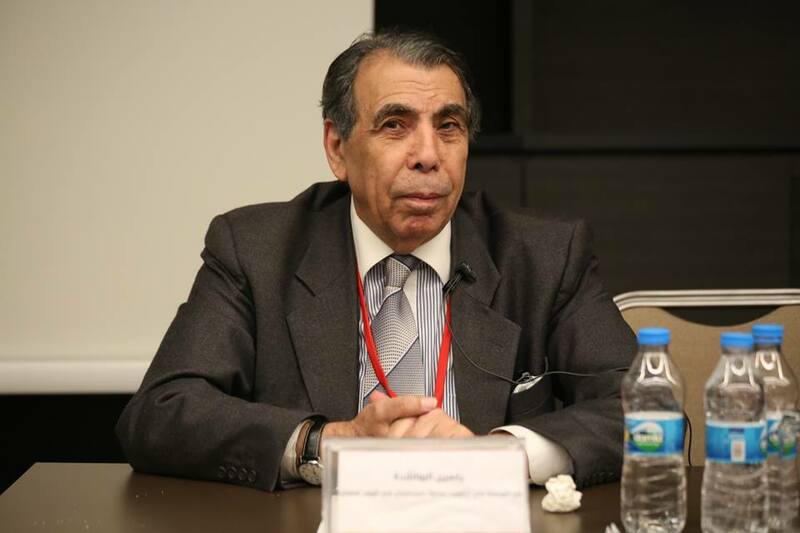 The extensive role of Al Qubaysiat organization, as a clear social aspect in determining the identity of the Syrian society, forced the Syrian media to highlight it, and it also shows the opposing attitudes of other secular mainstreams who demanded to confine the activities and influence of Al Qubaysiat organization especially, Najdat Anzour, a director, who is well-known for stances against Islam. The Absence of a comprehensive concept alongside the idea of the overall change have disconnected Al Qubaysiat sisterhood from the reality, a situation that other groups have experienced. Moreover, Al Qubaysiat organization lacks political and organizational practices and studies related to the Islamic thought. Therefore, there was no specific political position for the organization towards the Syrian regime and the relationship between the two sides has remained apprehensive and conservative in the long term. While the consultations and directions of Al Bouti and Mohammed Habash have granted Al Qubaysiat organization a pragmatic nature, as we should distinguish between the positions of fully supportive members and murids in Al Qubaysiat on one side and the opposing individuals who left the organization on the other. We should take into consideration the organization’s concerns with the Syrian security and intelligence because the detention of a woman is totally different and has a specific privacy, which violating it, may cause a devastating consequences for her. Furthermore, the political position of Al Qubaysiat organization is close to the sheikhs of other religious groups in Syria who disassociated themselves from politics for different reasons, most notably: sustaining the advocacy in Syria, obeying the ruler, avoiding the engagement in public affairs. The Syria regime thus encouraged the continuity of such groups because of their separation from “political Islam” or any kind of religiousness that embrace political agendas. While, the social and religious role of Al Qubaysiat is vital and provides safety and stability for Syrian society against any opposing movement that may undermine the societal and political stagnation, which has lasted for 50 years in Syria. We can infer from the organization’s political position that, it is a precautious step in order to protect Al Qubaysiat organization (members and murids) from the darkest conditions that Syria has been through. Furthermore, it also seeks protection from the regional and international positions that fight Islamophobia and the activities of other religious groups in the Arab World. On the other hand, Al Qubaysiat organization plays a positive role in developing the Arab woman, keeping her close to “political neutrality” in addition to granting her the opportunity to improve her relations with the realities of society(44). However, it is not reasonable to link the development of Arab woman with the disassociation from politics because policy is an important part in the developing process and the absence of the woman’s political role is a confirmation about abandoning the public affairs. As a matter of fact, the relation between society, authority, and religion has an effective presence in the community of men and women at the same time, where it can be deemed as a relationship of benefit between the traders and businessmen from one side and the Syrian intelligence from the other side with the presence of the mediations by scholars and sheikhs. Such relations have already been agreed upon in order to conduct religious activities that are supported by the businessmen and blessed by the security apparatus due to the intersected interests between the two sides. A testimony by Asma Kuftaro shows an implicit justification for relying on the above-mentioned relation and she believes that it is necessary to depend on influential characters such as businessmen, political men, and religious symbols in order to fulfil any objective. Al Qubaysiat organization’s members are women who adore religion and they prefer authority to people, while there is no links with political characters, therefore, Asma thinks that reliance on influential characters is vital to fulfil any goal(45) ”. Annabelle Boettcher has conducted a study about the influence of “Al Qubaysiat” and “Al Kuftaroiat” on Syrian society, as she indicated different activities of those organizations. As for us, we agree with Annabella’s view about the economic and religious influence of those organizations, but we disagree with her in regards to activities at the political level(46) because the professor did not specify the type of the political activities and she may consider the social Islam as an expansion for beneficial relation between the different societal categories and close to political Islam at certain point. We cannot blame Al Qubaysiat Sisterhood for its positions and activities in Syria because they are women who have special interests. While their main objective is to raise the awareness of girls and women about Islam. Conversely, the organization’s jurisprudence is still based on forbidding any movement against the ruler unless he prevented the implementation of religious teachings or insulted Islam. Moreover, the major pretext of Al Qubaysiat organization in regards to obeying the ruler is based on rejecting the strife that can destroy the country, as such thought has been adopted by many scholars and sheikhs in Syria. It is important to mention that obeying the ruler and praying for him during the sessions are deemed as a clear political position, also, Al Qubaysiat organization realizes that, allowing the conduct of religious activities in public by the Syrian regime, is to create a supportive religious and Sunni grass-roots, whereby the organization’s silence can be considered as an approval for the Syrian regime’s practices in return for allowing this organization to conduct its religious activities with liberty despite the secretive approach followed by the sisterhood. Similar to other religious groups, Al Qubaysiat organization presents a clear picture of the realities and aspects related to religiosity in Syrian society during thel Ba’ath Party’s rule in addition to illustrating the idea about the defamation of religion by some religious groups, who turned a blind eye on the tyranny and violence of the ruler against his own people. Conversely, Al Qubaysiat organization needs periodical reviews and constant development of thoughts in order to maintain its status within the society, as it is wrong to hold its view without any reconsideration, using the pretext of preserving the initial principles of the organization. However, such reviews have partially taken place when Al Qubaysiat organization discovered that “Ihya'e Ulum-ed'Deen” book contains weak religious hadiths and stopped it, also, the organization kept away from the Sufi order who focuses on individualism and the societal alienation. The political position is still bound by the jurisprudence itself and it is hard to change it as long as the society is being kept under a strict security control. Most of traditional and religious schools became an ally of the ruler while the other part has kept its distance from the political scene. 1- Munira Al Qubaysi’s relationship with the Salafi order has become more tenuous especially, Salafism outside of Syria. While she issued fatwas about categorizing the Sufi and Naqshbandi orders as opposing approaches for Quran and Sunna. 2- Tayyeb Tizini, advocates within the wealthy and influential classes. Alittihad, 18/7/2006. Tizini considers Al Qubaysiat as an alternative for the official “Women’s Union” and keeping away from policy is an indication for the organizattion’s commitment to ideological and religious activities only. 3- Salam Ismail, Al Qubaysiat organization. 4- Such as Ms. Amal Al Taweel who left Al Qubaysiat organization after being a murid, member, and a teacher in the public schools for 25 years. She hopes that the organization would do some reforms even if they took place in the long term. 5-The book includes offensive accusations and wrong ideas about Al Qubaysiat organization. 6- The quotes are derived from Mr. Usama Al Sayed’s book. 7- Such as, a report from Laila Al Rifa’i entitled “Al Qubaysiat organization is the gate for the largest religious organization in Syria”, Al Jazeera Midan. 8- Salah Kuftaro, a response from Salah Al Deen Kuftaro on the report about Al Qubaysiat, Al Hayat, 28/5/2006. 9- Mohammed Habash, Al Qubaysiat………the unknown issue, all4syria, 9/6/2014. 10- Ibrahim Hmedi, They wear dark blue hijab and have an extensive influence and teaching network. 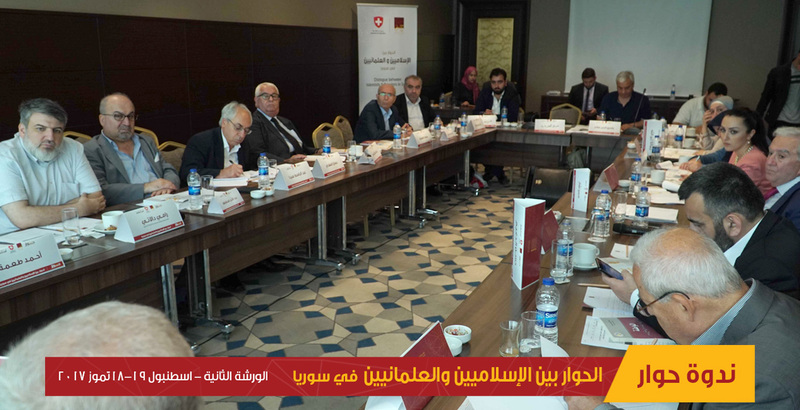 “Al Qubaysiat” commences advocacy in Syria with the approval of the Syrian authority. Al Hayat, 3/5/2006. 11- Annabelle Boettcher, the official Islam, the cross-border Islamic networks and the local policies in Syria, the World Institute, 18/9/2016. 12- This report addresses the phenomenon of employing hijab by the Syrian regime to serve its own agendas, Ahmad Jasim Al Hussein, Woman’s Hijab: the Syrian regime’s weapon against Syrians! Orient Net, 15/11/2014. 13- Everything mentioned in this study is related to other Syrian cities and we will specify them. 14- It is said that the two groups are split and each group has its own murids and teachers who are forbidden to move to another group. 15- The same reference, page 13, in Jordan the organization is known as “Al Tabbaiyyat” after Fadia Tabbaa, who was apprenticed by Munira Al Qubaysi, fadia’s sister, Sahar Al Halabi, founded an organization in Lebanon known as “Al Sahariyat” in addition to the presence of “Banat Fadwa” organization in Palestine and “Shirin Fathi” organization in Egypt. 16- Mariam Al Khater, dangerous organization targets Qatari women, alsharq.portal, 13/2/2012. 17- Sister of Ahmed Jibril, the founder and leader of the Popular Front for the Liberation of Palestine – General Command, who has a close relation with the Syrian regime. 18- Abdul Rahman Al Haj, Al Qubaysiat organization……”the story of the emergence of the first women movement for the religious revival”, wefaqdev, 17/8/2014. 19- Fatwas were issued by the Department of Scientific Research and Ifta' in Kuwait, which included Sufi indications, was attributed to Al Qubaysiat organization by opposing Islamic mainstreams and caused the spread of wrongful ideas and exaggerations about it. Fatwa 16011, part 2, page 74-79, 18/5/1414 Hijri. 20- Dr. Said Al Bouti’s comment on the series, 2010. He also praised Al Qubaysiat’s approach of keeping away from policy and being committed to raise girls with Islamic virtues and morals. 21- As per Amal Al Taweel. 22- Sheikh Mohammed Abu Al Kheir Shukri commented in an interview: Al Qubaysiat is the gate for the largest religious organization in Syria”. 23- Amal has confirmed the usage of this book and she read it with other teachers in the organization. 25- Al Qubaysiat organization noted that the book contains weak religious hadiths and stopped using it. 26- The book prefers Salafi order to Asha’ri school in regards to characteristics, as it mentions that sorcery is against Islam based on many hadiths and verses which refers to the necessity of killing sorcerers thus, the issued fatwa about accusing Al Qubaysiat organization of blasphemy and practicing sorcery is not accurate. 27- Mukhtasar Al-Jami'fi-al-Sirah al-Nabawiyyah, preface, the scientific printing press, first copy, 1995. Further, the written books about Al Aqidah, the biography of the Prophet, or any other religious research by any teacher in the organization used to replace the books written well-known scholars regardless of the content. 28- Salah Kuftaro, Kuftaro talks about the secrets behind Al Qubaysiat organization in Syria. Al Arabiya Net, 10/5/2007. 29- It is said that the murids’ (newcomers) relationships with their husbands and children have become tenuous because the teacher or sheikh seeks dominance in her familial relation in addition to the frequent leave of home and giving the organization the first priority. However, this issue is related to the personality of each murid and her ability in balancing between her social life and the organization’s activities. 30- This way of wearing clothes met with criticism because the coat is relatively short and shows part of the girl’s legs and counter the norms of wearing hijab. Many women wear this kind of clothes in different Syrian cities and have no affiliation to Al Qubaysiat organization. 31- Al Qubaysiat organization is the gate for the largest religious organization in Syria. 33- Amal commented that: “play your cards next to your chest”. 34- Recently, Al Qubaysiat organization has become aware of the issue related to refraining from marriage by the members which may pose a threat for the organization. 35- Salah Kuftaro, Sheikh Kuftaro talks about the secrets behind Al Qubaysiat organization in Syria. 36- Habash, Al Qubaysiat ………..the unknown organization. 37- Syrian women work in the shadow. 38- We are surprised by a comment of some individuals that: “Al Qubaysiat organization does not provide girls with real values or thoughts about the significance of wearing hijab”. And, there is a controversy about the followed approach for addressing this issue whether if it depends on religious obligations, scientific evidence, or the strong belief in Islam. It is worth mentioning that this issue can be seen in other religious groups. 39- Such as Salama hospital of Gynaecology and Obstetrics in Damascus. 40- Al Qubaysiat……..the unknown organization. 41- Ibrahim Hmedi, see also Salah Kuftaro response on Hmedi’s inquiry in: Salah Al Deen Kuftaro response on the inquiry about Al Qubaysiat organization. 42- Abdul Rahman Al Haj, Al Qubaysiat sisterhood………… “The story of the emergence of the first women movement for reviving Islam”. 43- Al Bouti’s opinion about “Ma Malakat Aymanukum” series. 44- Abdul Rahman Al Haj, Al Qubaysiat sisterhood. 45- An interview with Asma Kuftaro, conducted by Sana Ibrahim, aleftoday, 14/5/2010. 46- Annabella Boettcher, the official Islam, as she commented: “Murids can implement the principles of sharia on their daily life regardless whether if personal or familial. However, some sessions of advanced level may include more political nature” as an indication to the religious sessions given by the teachers in Al Qubaysiat organization. - Tayyeb Tizini, advocates within the wealthy and influential classes.18/7/2006. - Nabil Al Mulhim, Al Qubaysiat organization in Syria between blasphemy, reverence, and confusion. Albawabhnews. 16/9/2006. - Such as a report from Laila Al Rifa’i entitled “Al Qubaysiat organization is the gate for the largest religious organization in Syria”, Al Jazeera Midan. - Rama Al Jarmaqani, Syrian women work in the shadow, 23/10/2009. - Salah Kuftaro, a response from Salah Al Deen Kuftaro on the report about Al Qubaysiat, Al Hayat, 28/5/2006. - Mohammed Habash, Al Qubaysiat………the unknown issue, all4syria, 9/6/2014. - Ibrahim Hmedi, They wear dark blue hijab and have an extensive influence and teaching network. 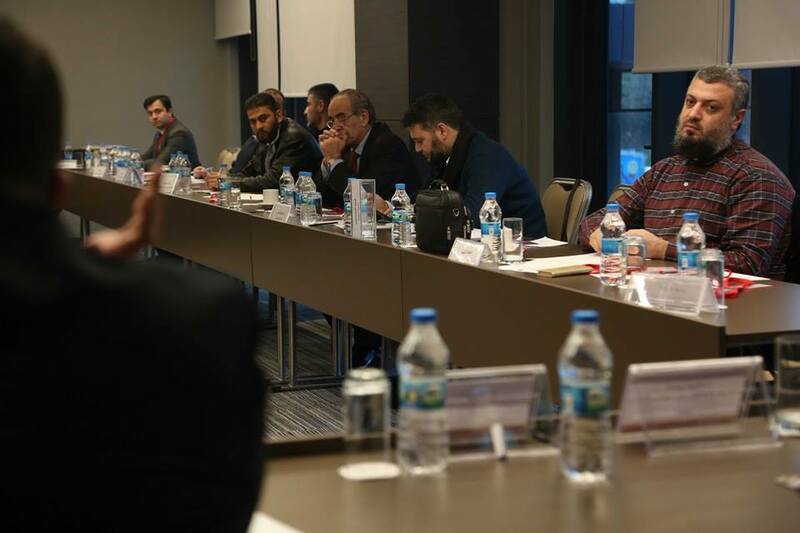 “Al Qubaysiat” commences advocacy in Syria with the approval of the Syrian authority. Al Hayat, 3/5/2006. - Tala’i Al Ba’ath of the Syrian regime and other tyrannical regimes in history. Alsouria.net, 25/3/2015. - Annabelle Boettcher, the official Islam, the cross-border Islamic networks and the local policies in Syria, the World Institute, 18/9/2016. - Ahmad Jasim Al Hussein, Woman’s Hijab: the Syrian regime’s weapon against Syrians! Orient Net, 15/11/2014. - Salam Ismail, Al Qubaysiat organization. https://goo.gl/BY6Mu8. Analytical study about the emergence of this organization in the Islamic and Arab societies. Barq for Research and Studies. Page 11. - Mariam Al Khater, dangerous organization targets Qatari women, Alsharq.portal, 13/2/2012. - Abdul Rahman Al Haj, Al Qubaysiat organization……” the story of the emergence of the first women movement for the religious revival”, wefaqdev, 17/8/2014. - The Department of Scientific Research and Ifta' in Kuwait. Fatwa 16011, part 2, page 74-79, 18/5/1414 Hijri. - Mukhtasar Al-Jami'fi-al-Sirah al-Nabawiyyah, preface, the scientific printing press, first copy, 1995. - Salah Kuftaro, Kuftaro talks about the secrets behind Al Qubaysiat organization in Syria. Al Arabiya Net, 10/5/2007. - An interview with Asma Kuftaro, conducted by Sana Ibrahim, aleftoday, 14/5/2010. - Afra’ Mohammed, Al Qubaysiat Organization in Syria: ideological doubts and political fear. - Maria Al Shami, Qubaysiyat Al Assad…..the politicized Islam. - Omar Al Bahra, Al Qubaysiat – the mothers of faith and Abu Al Nour Foundation. Modern Discussion, 23/12/2004. Islamic women organizations work secretly in Syria, Qantara. - Al Bayan Newspaper spots the light on Al Qubaysiat organization in Lebanon. - The influence of women in MB is growing larger in Syria, however, the presence of Al Qubaysiat Sisterhood challenges this influence. Al Qubaysiat Organization in Syria: ideological doubts and political fear. Al Qubaysiat Sisterhood: the Sufi women organization. - The controversy about Al Qubaysiat Sisterhood……….A study about religion and authority. - The Islamic Feminism. Al Jazeera Net. - Excerpts from the film “Sufi Women”.